One of the most requested posts since I started writing the Sew Your Kibbe Series was to identify which indie pattern brands would work best for the various Kibbe types. One of the reasons I didn’t want to use indie brands as part of the main series is because they often tend to have defined aesthetics that limit which Kibbe types they work for. Plus, I’m not the biggest collector of indie patterns, so I’m not as familiar with all the different brands as I am with the offerings of the Big 4, Burda, and what I’d call the “mainstream” indies (like Jalie). Add to that the fact that the posts were already so time intensive to produce that I didn’t want to take the effort to scour the internet for indie options for each type. So I largely ignored the indies for my main Kibbe series. However, I do think there are a lot of great indie brands and patterns out there (check out Diary of a Chainstitcher’s epic list! ), so I don’t want to totally ignore them as a potential source of sewing inspiration either. Plus, if you find an indie brand who’s style really suits you or your Kibbe type, you have a lot of great options in one place that should in theory work really well together to help create that ultimate cohesive wardrobe that we all seem to be coveting right now. So I can understand the appeal of indies in that sense too. I’ve had to do quite a bit of research to look at the various brands, since, as I’ve previously stated, indie patterns really haven’t been my main source of sewing inspiration up to this point. But I’ve tried my best to create what I hope will be a useful list of what I’d consider to be some of the larger indie brands. It by no means includes all indie brands or companies (especially since it feels like new brands are popping up all the time), and I’ve intentionally left of specialty patterns that produce patterns for things like costumes, historical garments, undergarments, or activewear. I’ve also left off sewing magazines because they publish so frequently they can follow fashion trends a bit more, though if there is enough interest I may do a separate post dedicated just to pattern magazines. Even still, I hope this will be a fairly good reference if you prefer to sew indie brands, and want some help pinpointing how they relate to the Kibbe lines. Also, yes, I am aware that I am including some of the brands that have been part of the recent sizing controversy, but I am making sure to include size-inclusive brands in this discussion as well. I felt that it was better to include as many brands as possible in this discussion of style lines than to ignore them entirely, in spite of the recent issues. My intent with this post is to continue the discussion of the main series by providing additional educational or illustrative examples as a supplement to the main Kibbe series. This is not presented as a list of pattern companies that I can personally recommend, as I’ve not tried most of these brands myself, and really don’t have a valid opinion of their products or customer service. 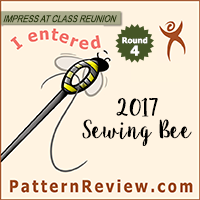 I simply wanted to provide my perspective on how some of the more popular indie sewing brands fit into the Kibbe spectrum as a continuation of my thoughts from the original series. Also, if there are any awesome brands I’ve left out, please feel free to list them in the comments so others can continue to use this post as a reference. If there are enough requests for other brands I may do a follow up post. And now, finally, on to the post! The patterns from By Hand London all seem to have a fairly fitted silhouette with minimal, but sweet details. It definitely has a feminine feel that makes most of the options seem to fit in with the more yin of Kibbe’s IDs. Recommendations: Soft Classic, Gamine, Soft Gamine, Theatrical Romantic. Cake Patterns have cute illustrations of their designs, all of which have very sweet design details, a close fit, and an emphasis on curved elements. These patterns would also be great for those closer to the yin end of Kibbe’s spectrum. Recommendations: Soft Classic, Soft Gamine, Theatrical Romantic. The Cashmerette patterns are renowned for their size inclusivity and fit options. The style of Cashmerette is very Classic – clean lines without too much detail or fuss. What’s great about this is that these can work well as “background” pieces for other Kibbe types, or as a good base pattern on which to add additional detail. A Natural can layer loose, draping garments over some of these styles, or a Romantic could add additional trims and details to get a more Romantic feel. These are great basic patterns to have as the foundation of a wardrobe. Charm Patterns is Gertie’s indie brand line, which is separate from her collaborations with Butterick. She has a very vintage aesthetic, which works incredibly well for those who are Kibbe’s Romantic types. It feels as though Romantic styles have not been as popular in mainstream fashion lately, so it can be difficult to find patterns that work with Kibbe’s recommendations. Closet Case Patterns has a relaxed, cool vibe that offers a lot of casual pattern looks. The silhouettes are all very straight and unconstructed, which lends these patterns more towards the Yang end of the spectrum. Colette has an extensive catalog of patterns, made even larger when you include those that were released under the Seamwork brand. This means that their styles have a bit more range than some of the newer or smaller brands. Even then, there is a distinct aesthetic that pulls very Gamine. While I did see some patterns that could work for Naturals, Theatrical Romantics, or Classics, the options are somewhat limited for those Kibbe IDs. Deer and Doe have a casual, yet feminine vibe to their line. While the overall appearance is one of being casual and relaxed, the details in these pieces are actually quite animated and precise. It’s another brand that has a few options that has the potential to work for Naturals or Dramatic Classics, but really has a strong Gamine feel to the line. Grainline is a really interesting mix of elements, at least from a Kibbe perspective. The overall impression is one of being quite relaxed and linear, yet if you actually look at the proportions and fit of most garments, they come off as being more cropped and fitted than you might expect. If you are a Gamine type who wishes you could wear Natural style clothes, look no further! Grainline Studios is a perfect match for that sort of aesthetic. Recommendations: Flamboyant Gamine, Gamine. Some patterns could be possible match for Dramatic, Natural, or Classic. Helen’s Closet is one of the newer indie brands, and the styling is really interesting because I would almost consider it to be Kibbe neutral in a weird way. The wrap dress could work for a Natural or Classic type. The sweater and pinafore would be great for a Gamine. The culottes could be great for a Soft Dramatic or a Natural type, but the shape might also work well for a Soft Classic or Soft Gamine depending on styling. Recommendations: Kibbe type is very pattern dependent. Hot Patterns is another indie brand that seems to chase trends to some extent, but their overall collection still seems to fall into an easy, loose, unconstructed feel. I would argue that the majority of their patterns would work best for Kibbe’s Natural types, though they do have a few patterns that are more fitted and streamlined, which could work well for Classics. Recommendations: Soft Dramatic, Flamboyant Natural, Natural, Soft Natural, some Classic. Jalie is one of the more established indie pattern brands. Their range of included sizing (child-adult, all in one package) and instructions have made them one of the more established brands, as has their wide range of athletic patterns (for women and men! ), which can often be hard to come by from other pattern companies. As far as their regular clothing patterns go, the styles are pretty casual, and range from being loosely unconstructed to quite fitted and tailored. Lekala is another of those pattern brands that chases the trends quite a bit, and as such has a wide range of styles. The cool thing about Lekala patterns is you input your measurements into their system when you order, and the PDF comes fitted to your size. Most people indicate that they have still had to make some adjustments to the pattern, but that, overall, this system works surprisingly well. This can be a great indie brand for all the Kibbe types to explore because the catalog has thousands of styles to explore. Marfy is really interesting from the “indie” brand perspective. I feel that most people turn to indie brands for the detailed instructions and simplification of techniques and/or beginner friendliness. Marfy is the total opposite. Patterns are sold in single sizes, without instructions or seam allowances, and the designs looks very complex. But some of the designs are so pretty! Their catalog is very extensive (over 1500 designs! ), and as such they have styles that really run the gamut of style lines. It might take a little more effort to find something that works for you, but there are so many options that you are sure to find something that pairs with Kibbe’s recommendations. The patterns from this brand have an interesting mix of casual, relaxed shapes and more fitted styles with some more detailing. The styles could be really great for a wide range of Kibbe types, though I’d say mostly the “soft” varieties of the Kibbe types. Named Clothing has a very large catalog of patterns, and also an interestingly diverse aesthetic. I feel as though this brand can fit a wider range of Kibbe types because the styles range from sharply tailored to relaxed and unconstructed. Nina Lee patterns have a smaller selection, and seem to have a changing aesthetic based on the current options. The (what I’m assuming to be) older patterns have a more unconstructed style that could work well for a Natural type, but most of (what I’m assuming to be ) the newer styles seem to be fitted and cropped in a way that would best suit one of the Gamine types. It should be interesting to see which direction this brand goes in the future, though I must say I find the Gamine styles more interesting than the less constructed patterns from this brand. Papercut is interesting because they introduce new patterns as a collection, which does allow them to create cohesive collections, but then change up their style for a new season. Even with this, the overall feel of this pattern line leans towards the Dramatic and Natural end of the spectrum. Ralph Pink feels like a very fashion forward indie pattern brand, yet the styles all seem incredibly wearable as well. I really like the brand’s aesthetic, and I think it speaks to a very different stylistic corner of the market than a lot of the other indie brands do. Rosy Peña Patterns have a lot of simple, stylish options. The shapes tend to be a bit bold and soft, yet the silhouettes aren’t overly unconstructed or draping. I think these styles could look really good on Soft Dramatics, Naturals, and Soft Naturals. Some of the styles could be nice for Flamboyant Gamines as well. Sewaholic is one of the brands that really kicked off the indie pattern designer explosion that has been happening in the past few years. While the original owner is no longer designing or selling these patterns, the brand continues to be available, and popular, so I thought I would include it in this discussion. The silhouettes all tend to be fairly fitted, with a touch of feminine detail, and really fit into the Soft Classic aesthetic. While other Kibbe types could find certain patterns to work with their recommendations, when taken as a while the brand reads as being perfect for a Soft Classic wardrobe. The patterns from Sew House Seven have a very relaxed, unconstructed silhouette. There isn’t as much versatility as with some of the other brands, so the Kibbe recommendations are pretty narrow; the aesthetic of this brand definitely leans towards being in the Natural categories. Sew Over It has a cute vintage aesthetic and typically clean, tailored lines. There is a slightly feminine edge that gives many of the styles a slightly softer undercurrent, but many of these styles would be great for Classic or Soft Classic wardrobes. Style Arc is another interesting brand that doesn’t seem to have a very defined aesthetic. Like the Big 4, they seem to be producing patterns for trendy items, and the inspiration of fashion icons is easy to see in their catalog. Their options are quite expansive, so there really is a little something for everyone, though that does mean doing a bit of searching for something that will suit your ID. Tilly and the Buttons patterns have a very defined aesthetic, and in Kibbe’s system the clothes are all perfect for the Gamines, especially Flamboyant Gamines. Everything is very fitted at the collar and cuffs, there is lots of color blocking, and animated detail. True/Bias is a very popular indie brand; I feel like everyone has made an Ogden cami at this point. (Except me. But, I kind of want to…) While I think these patterns have been popular because they’ve worked well for a lot of people, when I consider these garments from a Kibbe perspective, I think a lot of these styles would work well for the Natural types and subtypes. There are a few I think could fit into casual Dramatic recommendations, but in general the silhouettes are a bit more unconstructed, which makes the styles fit into the Natural recommendations a bit more easily. Tuesday Stitches is a newer pattern company by Seamstress Erin, and as such they only have a few patterns on offer. While their pattern catalog is very small, the sizing is pretty inclusive, and the styles are the sort of “neutral” garments that could work well in any wardrobe. The leggings and tank top especially could work well for everyone in the context of a whole outfit. Some of the designs have a slightly more unconstructed vibe that could work well in a Natural wardrobe, but it could be worth keeping an eye on this brand to see what sorts of designs are added in the future. Victory Patterns is another brand that has an easy, flowing aesthetic. About half of the patterns have an unconstructed line and about half have a more defined shape. A majority of the patterns would work best for Natural and especially Soft Natural types, but a few patterns would look great on Soft Gamines. Wardrobe by Me has a lot of options available. Their styles tend to be a mix between classic tailoring and a bit more casual and unconstructed. I would argue that most styles would look great on a Classic or Soft Classic, but that a lot of styles might also work for a Natural or Soft Natural as well. As you can see, there are a lot of indie brands out there, and they all cater to different aesthetics and styles. Personally, I think if you are a Gamine or a Natural type there are a lot of options out there for you! Partially I think this is because these are where the trends are happening, and partially I think it is because these styles are easier to design, draft, and produce. There isn’t a lot out there for Theatrical Romantics, unless you start looking at the indies who have a lot of designs like Marfy or Lekala. I was surprised by how few Classic styles I found, but I think when it comes to fit, the current trend is leaning towards a bit more relaxed and oversized or extremely closely fitted, as opposed to the tailored, but not tight fit that would be associated with a Classic. I’m very curious to hear from my readers on this post, since I’m not typically a huge sewer of indie brands. Do you like to sew with indie brands? What makes you prefer them to the more mainstream brands? When you find a brand that works do you keep going back? Or do you like to try a bunch of different brands? Does being able to associate a brand’s style with a certain Kibbe type help you find ones that you would be more likely to sew, or does it make you feel like everyone is just producing a bunch of renditions of the same thing, because it’s the easiest thing to produce? Do you also feel like a majority of the brands tend towards Natural or Gamine styling? Or do you think there is a nice mix of styles across all the various brands? Please leave your thoughts in the comments! There are a couple here I’ve never heard of, like Ralph Pink and Anni Building Block. The Pink patterns look rather interesting…. In brutal honesty, I don’t sew with many indie patterns, mostly because each company seems to be slightly different (a good thing of course), so it’s like re-learning every time. I love to sew, but it’s a hobby for me, it’s taking long enough for me to learn with Burda and an occasional Vogue or Kwik Sew. That said, Closet Case has a lot of patterns that look really interesting, and Cutting Line Designs (not many, but a couple of nice ones). REALLY love seeing these though, and great to see such diversity in the patterns. Very inspiring! I don’t sew much with indies either. The cost is really prohibitive when compared with the sale prices I can get on Big4 styles, and I *hate* putting together PDFs. I will trace for days, but PDFs really stop me cold. I don’t know why. It’s just that one extra step that I really don’t enjoy. I know a lot of these brands also offer paper patterns, but I’ll have to be very selective of which styles I actually want to make, and, honestly, very few of these styles grab my attention over the Burda and Big4 patterns I already own. Oh I hate putting pdf’s together too! What a job. And true enough, most of the patterns are similar to Burda but I prefer the burda fit. Doesn’t seem to be alot out there for pure classics. Indie patterns seem so expensive or have to be pdfs with all that sticking together. Not all of the brands offer only PDFs, many offer paper patterns as well. I agree the cost for indies is quite high when compared to the price that the Big4 can be found on sale; it’s part of the reason I don’t have a large indie stash, but I do have a large number of Big4 patterns. Very interesting! I’m a Dramatic and you tagged all the indies whose aesthetic I get on with as suitable for Dramatics which I think is an impressive hit rate – there’s definitely something to this system. Thanks! That makes me feel better because I sort of roughly eyeballed it, rather than being very particular in sitting with the Kibbe recommendations open as I made my assessments. I do think it’s interesting how I’ve also sort of been interested in the brands who have a Natural vibe and really *not* interested in the brands I’ve tagged as being more suitable for the Gamine lines. This is very interesting. The indies have never grabbed me, but that is probably explained by the fact that I prefer a tailored, classic look. My take has always been that with a dozen Burda magazines and selected vintage Vogues I pretty much have all of the patterns I need. I have never been a trendy person though so this all seems to make sense. You make a good point too about the cost – I get an Italian Burda magazine for less than 5 Euros and that compares to often $20 or more for an indie pattern. I wouldn’t consider it unless the pattern were a real showstopper. My only exceptions were in the early days of Sewaholic as I wanted to support Tasia for her great blog. I made one or two of her patterns. I get the impression that what many get out of the indies is more hand holding and detailed instructions, sew-alongs, something participatory. That wasn’t something I was seeking, having learned to sew using Vogue patterns and making it up fairly blindly as I went along in the 80s and 90s. It is interesting to see your groupings. You always put so much work into your posts. Cheers! Thanks! I was also a fumble along blindly sort of learner in the early days before a lot of the Internet resources really took off. I’ve gotten used to sort of terse instructions and agree that I don’t really need that group activity feel to my sewing, though I can sort of understand the community appeal of indies. I get it, too. It’s a great way to learn if you are new to something and wanting to get answers quickly! I’ve really enjoyed this detailed post, but I’m so puzzled by the way indie patterns have taken off. Using them means extra expense and extra work to assemble the pattern–or time to wait if the paper version is arriving by mail. As Stephanie says, I suspect the social element of sewing what every one else is may be what attracts new sewers who need help if they are learning on their own. But so much work is going into duplicating patterns that exist in every commercial catalogue–a basic t-shirt, tank top, leggings, button-front shirt, to name a few. I’d only opt for an indie pattern if the design is very original and interesting, but they’ve really caught on, for some reason! As a Classic I definitely agree with your views on the indies. I love the designs, and the styling, and the different aesthetics of each brand, but it’s rare to find a pattern, much less a whole collection, that is fitted and structured enough for me to wear. The only indie patterns I have are jeans. Your list did highlight some I had missed, though, so I’m going to revisit a couple of these companies. Kind of what I expected, not much for Classics / Dramatic Classics from the Indie patterns, mainly Gamine / Natural and Soft version of the main types, which is certainly what my feel was. Having said that, I recently ordered my first Papercut Patterns pattern (the Ennis Tee) and it came so beautifully packaged. You can even make the instructions into a cute little booklet 🙂 I’ll be keeping my eyes open for the rare patterns of theirs that suit my type. Other than that, my fave indie pattern is In House Patterns’ Belle Blouse, which I have made… Five of? It’s brilliant. https://inhousepatterns.com/products/belle-bow-blouse The rest of the patterns are quite simple and clean. I have a few favourite ‘basic’ style patterns that I sew from the Colette/Seamwork offerings – Colette has quite a few things that I would say fall into the softer IDs, but I cancelled my Seamwork membership when they just started releasing one unfitted boxy pattern after another… Really not my style, but I’m sure it works for many others! I agree – Itch to Stitch looks great for Soft Classics! It’s awesome that you’ve found some great TNT patterns, thanks for sharing! Thank you for doing this blog topic. Checking out the different sites lead me to find Lekala, which carries quite a few mens patterns. I am always on the look out for those and there are some interesting designs at this site. You should also look at Thready Theory for men’s patterns. I didn’t include them because I haven’t discussed men and Kibbe types yet, but they have many patterns for men. When I consider my favourite pattern brands, I wonder if soft natural is more my ballpark than the soft classic I’ve been considering. I love Closet Case, Megan Neilssen and Grainline. But then while searching styles I like with a soft classic bent I re-discovered Deer + Doe the other day. I love the Nenuphar jacket. A big part of my love for certain indies is how easily I can get a good fit. Megan Neilssen is the easiest for me as she drafts for my taller height. I’ve stayed away from Deer + Doe for the most part as I’ve read they draft for a C cup, and I’m very much an A cup. But my favourite t-shirt is theirs and I can do SBAs now so I think I’m going to try them again. In Australia the Big 4 are as expensive as indies except during rare sales, so price isn’t a factor really. Yeah, I feel like if I wasn’t in the US it would feel like more of a level playing field because price wouldn’t be so different. But I still think I’d buy Burda over anything else no matter where I was. Even at full price. Two brands whose designs I like are Sew Chic who also has some of them for Simplicity and How to Do Fashion. I haven’t seen them but they’re on my list. What IDs do you think they are? Romantic? Soft Gamine? Theatrical Romantic? or something else… they are very yin. I feel like Sew Chic is mainly Soft Classic with some styles that can feel Soft Dramatic or even Romantic. How to Do Fashion looks more like Soft Gamine and Theatrical Romantic styles to me. Thanks for adding these brands to the list! Wow! I’m glad you are ok! Yes! Had to drive home in a terrible snow storm. Two cars started spinning out ahead of me and when I braked I ended up fish tailing into the left lane where a semi plowed into my corner tail and sent us right across the freeway slamming into the 1/2 mile pole for my exit. I was going about 20 mph the storm was so bad. The bags didn’t deploy when we hit because we were going slow. I’m just so thankful that the car behind me did not end up plowing into the side of the car where my 12 yr old was sitting as we careened across the freeway. The car’s totalled but walked away without a scratch. Fell grateful, blessed. That’s amazing! I am so happy you and your son weren’t injured. 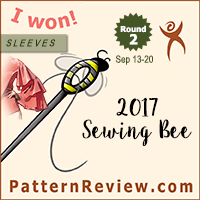 The only experience I have had with indie patterns is a blouse pattern from Colette. I didn’t care for the way the pattern was drafted and I found it difficult to put together even though it was supposedly a beginner pattern. Additionally, the muslin looked terrible on me so I never finished it. Also, the idea of taping together pdfs just doesn’t make me very excited. So I continue to avoid the indie patterns, but I suppose I should reconsider and not be deterred by one bad experience, though! I’ve tried Closet Case and I thought they were pretty good. Not a perfect fit, but not much worse than Burda, and the instructions were very comprehensive, so I will give it that! I did buy the paper pattern though, I’m still gonna avoid PDFs where I can. These posts are all very interesting, many thanks for all the information (and the huge amount of work !). You’ve helped me realise I’m Soft Classic not Soft Natural ! Perhaps more related to haberdashery then patterns but.. Even the few times I have used an indie pattern from PDF (like.. total of three times) (one was a tie) I have traced the pattern instead of cutting the paper because I want to be able to see my fabric (if I use a patterned fabric) and being able to try and fold my pattern pieces to understand how everthing goes together. And being able to fold, unfold, store etc. Ironing out my pattern pieces is usually my start before I iron the fabric for cutting. So for me it is not tracing or piecing together PDF:s, it is both. And few indie pattern companies have models that are super unique, a few exceptions of course, but I like the styling and how easy it is to find everyones take on a pattern. So, the social bit without me actually participating? That makes sense. The few times I’ve used a PDF I have also traced it. I’m squarely in the minority in this conversation, but I do sew indie PDFs almost exclusively. I liked this post because it pinpointed why I don’t bother with certain indie companies. When I look at Cake or Charm or Tilly, I always have known they’re “not me.” This list is helpful is with the Grainlines and Deer & Does where it was a little less obvious why even though I like them, they often don’t feel 100% right. It also affirms the little inklings to try out more Named and Papercut, although I’m somewhat hamstrung by their non-inclusive sizing issues. It’s a bit of a dilemma when indies that suit your type don’t include your sizing. The most valuable takeaway; however, is being able to better identify and articulate why something isn’t quite right. Plus, it gives a framework for how to tweak something to make it more suitable. I have patterns and fabric in my stash don’t align 100% with my type. But with clever fabric/pattern pairings or minor style changes, I can augment them to work for me. I like the idea of taking a fabric that skews natural, but applying it to a super-dramatic silhouette (or vice versa) to play around with the types. It’s helpful in thinking about how to get the most mileage out of what I already have. Such an awesome comment! Thank you for sharing! It’s great to get the perspective of someone who does like the indies to weigh in on this topic. I started using indies because they were the most obvious place to get PDFs. When I started out, I used tissue patterns and I didn’t know you were supposed to trace. I made alterations directly to the tissue, which often failed. I ruined patterns that way. I love using PDFs. I can print infinite copies of the pattern. They’re not precious. I make alterations directly on the paper. If I mess up, I recycle it and reprint the pages for the pattern piece I’m altering. For me, that’s freeing. I also love that my pattern stash is digital. If my printed PDFs got ruined or lost, I could replace all of them just by reprinting. I don’t mind cutting and taping. I’m fast at it. I use a ruler and a craft knife to trim the pages. I can just blow through assembling them. I can’t stand tracing. Starting out, I had trouble with Big 4 instructions. I had such a hard time parsing them. I love the indies that teach. I’ve learned fit and construction from them. As for cost, buying a lot of $1 Big 4s would be a false economy for me. I have a slow output and wouldn’t get to them. I’d rather buy one indie that I’ll use right away. I don’t buy many patterns and I do wait for sales. I like trying out different companies. I also keep going back to certain companies. And my favorites evolve. I value user experience design, so right now one of my favorites is Helen’s Closet. She has outstanding UE. In the Folds is another – her instructions are so, so good. But that’s just what I’ve found works for me. I think it’s great that there are options for people in all the camps: Indie, PDF, paper, Big 4. Whatever works for someone is awesome. It’s supposed to be a fun hobby, so use what makes it fun for you! The one place the indies fall apart, IMO, is unique and complex garments. The market skews simple. It skews natural and gamine – boxy, loose, relaxed. I get frustrated when I see iterations of the same thing. I mean enough already with the dartless kimono sleeve box tops. I like interesting “designer” construction and complexity; pieces that have that creative artistry. Named, Papercut, and Victory have some good examples of that. But as a whole, that’s the one area indies are not as strong as say, Vogue. Reading your blog has been so fun for me. It’s introduced the magazines and Big 4. I enjoy seeing their designs for patterns that are more interesting and complex. Maybe I’ll even try some of them out! I like hearing what other people are excited about. And it’s nice to get out of the echo-chamber of some of the indies. Awesome! That all sounds like great reasons to sew with indies. It also sounds like you’ve picked up a lot of skills that can help if you want to try other things that aren’t as helpful in the instructions. And I totally agree – it’s about having fun and finding what works for each of us. I’ve so enjoyed this post, along with the others you’ve written on Kibbe. I was in London recently and ended up going to some clothing shops (I am rarely moved to go shopping usually – in part because it is so overwhelming), and I felt so empowered to be able to look at styles and think “natural”, “romantic”, “typical classic” and hone in on styles more likely to fit me (gamine). This goes for sewing patterns and fabric shopping as well, and it is a game-changer! Thank you!